June 2018 marked the publication of the proposals for the Horizon Europe programme which will fund research and innovation across the EU from 2021-2027. The proposed overall budget is €94.1 billion. Within this budget, €7.7 billion is allocated to fund the “Health cluster” under Pillar II. Against this backdrop, Prof. Martin Rossor highlighted the challenges associated with dementia in Europe and the importance of EU research funding for advancing dementia research. 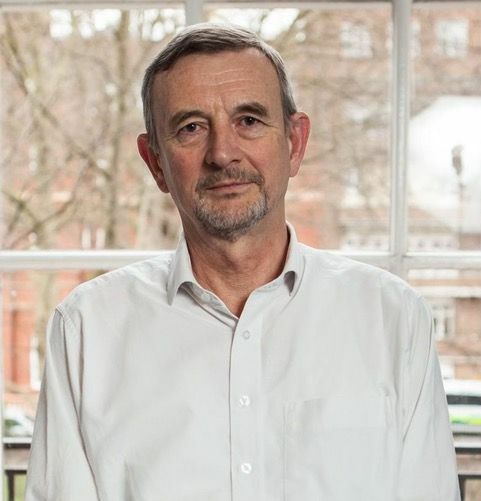 Martin Rossor is Professor of Clinical Neurology at the UCL and director of the Queen Square Dementia Biomedical Research Unit. He has supported EBC as Ambassador since 2017. Could you explain what dementia is and how it affects patients? Dementia is a very general term to describe impairment of cognition sufficient to impact on everyday living. The cognitive impairment can present in many different ways; difficulty with remembering events and tasks is often prominent but problems with language, reading, calculation, vision, planning, judgement and behaviour all occur. It can be due to many underlying diseases although Alzheimer’s disease and vascular disease, often in combination, are the major causes. These diseases are age related and as the European population ages, the number of people living with dementia is increasing. Could you elaborate on the societal impact of dementia in Europe? There is a huge personal and emotional toll shouldered by both the patients and their family and friends. But along with the personal impact, it is estimated that the financial impact is close to €200 billion. This does not just account for the cost of health care for those diagnosed with dementia, but also the loss of earning potential of those patients and of family and friends who take up the responsibility of carers. What are, in your view, the most important challenges that need to be addressed in order to improve the lives of Europeans living with dementia? The challenges are at many levels but all need to be met by research whether it is basic molecular science or implementation science. Neuroscience research is a very challenging area and will never be cheap but has enormous potential rewards. Whilst we need to understand the molecular basis of neurodegeneration and how this interacts with neural networks, we also need to identify the best ways to support those living with dementia. Whatever advances we may see in the next ten years, and I am optimistic that we will see them, it is very unlikely that we will ‘cure’ dementia. What is realistic is to change the trajectory such as we do with diabetes and convert the underlying diseases into long term conditions that people live with successfully. This will require a broad approach to brain health. Could you provide some examples of advances in the field of dementia research made possible through the EU Framework Programmes? EU Framework Programmes have provided major support for dementia research! E.g. Innovative Medicine Initiative (IMI): the world’s largest public-private initiative in health research and innovation. From 2008-2013, IMI had a total budget of close to €2 billion. From 2014-2024 its budget will reach €3.3 billion, half of which comes from Horizon 2020. European Prevention of Alzheimer’s Dementia Consortium (EPAD): pioneering a new, more flexible approach to clinical trials of innovative Alzheimer’s disease treatments designed for people who have the disease but have not yet developed dementia. Organising mechanistic knowledge about neurodegenerative diseases for the improvement of drug development and therapy (AETIONOMY): new approaches to the classification of neurodegenerative diseases, particularly Alzheimer’s and Parkinson’s diseases, thereby improving drug development and increasing patients’ chances of receiving a treatment that works for them. European Medical Information Framework (EMIF): developing a common information framework of patient-level data to facilitate access to diverse medical and research data sources, opening up new avenues of research, particularly in the fields of Alzheimer’s disease and obesity. Alzheimer’s Disease Research Platform: promotes collaboration of IMI projects to jointly address the key challenges for medicine with global outreach through Global Alzheimer’s Platform (GAP). Real World Outcomes across the AD spectrum for better care (ROADMAP): using ‘real world evidence’ data to improve the lives of people with dementia, with a particular focus on Alzheimer’s disease and prevention. Models of Patient Engagement for Alzheimer’s Disease (MOPEAD): designed to assess different Patient Engagement models across Europe, to identify efficient approaches of earlier identification of mild AD dementia and prodromal AD patients. Amyloid imaging to prevent Alzheimer’s disease (AMYPAD): carrying out beta amyloid PET imaging on an unprecedented number of people who are suspected to be in the early stages of Alzheimer’s disease, to determine the clinical added value of PET imaging in diagnosis and patient monitoring, and to develop data to establish its usefulness in clinical trials. Moreover, the EU Joint Programme – Neurodegenerative Disease Research (JPND) initiative has received funding from the European Union’s Horizon 2020 research and innovation programme. It is the largest global research initiative aimed at tackling the challenge of neurodegenerative diseases. JPND increases coordinated investment between participating countries in research to find causes, develop cures, and identify appropriate ways to care for those with neurodegenerative diseases. Can the Horizon Europe programme contribute to addressing some of the challenges presented by dementia? And is the proposed budget of €94.1 billion sufficient in your view? Not only can the Horizon Europe programme contribute to addressing the problems of dementia – it is an imperative. There is never enough money! €94.1 billion is a major investment but the question remains as to whether it is commensurate with the economic and societal burden of dementia. Should the UK, in your opinion, participate in the Horizon Europe programme after it leaves the EU? Whatever happens with the UK’s policies in Europe, my personal opinion is that it should indeed participate. What could healthcare stakeholders and patient advocates do to raise awareness of the importance of public investments into brain research?